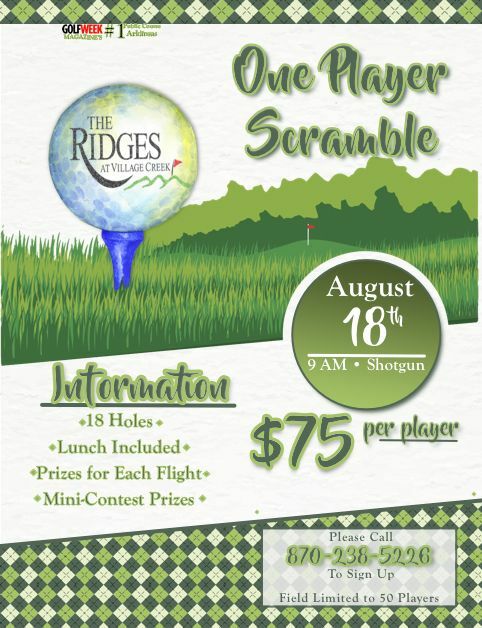 One Person Scramble Saturday August 18th. $75 per player. Entry includes greens fee, cart fee, prizes, and lunch. Call the pro shop at 870-238-5226 to register.